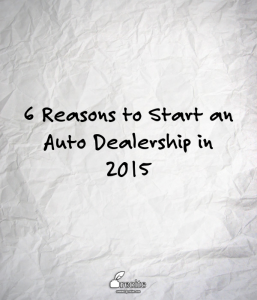 Are you thinking about starting your own auto dealership? If so, the idea has likely been on your mind for some time now. 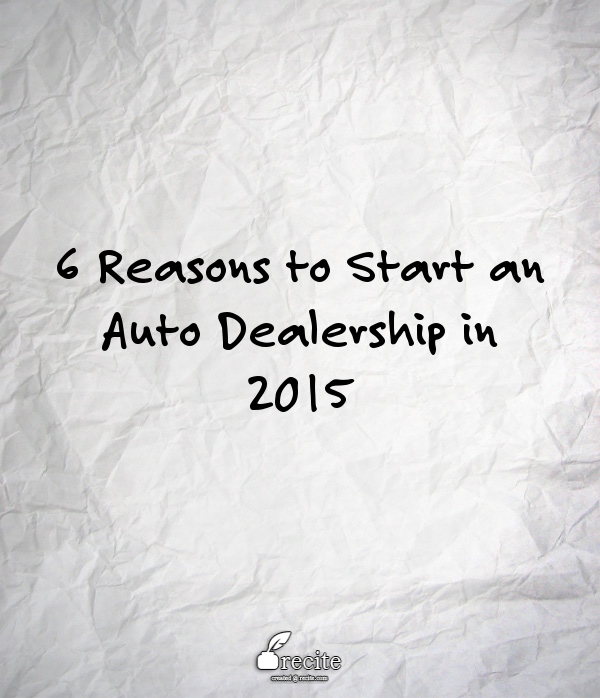 With a little motivational push, 2015 could be the year to get your auto dealer business off the ground. While the last few years were a real test for the American economy, the prospects are becoming more positive as we speak. The automotive industry is getting on its feet, so dealerships are the next in line to benefit from the upward trend. There are plenty of auspicious factors that will enable a smooth and successful dealership startup this year. That’s why if you want to become a part of the new wave of upcoming dealers, it’s wise to get started with your dealership license and auto dealer bond. To get you really enthusiastic about your new endeavor, let’s go through the main reasons that make 2015 the perfect year to launch your dealership – with a bang! 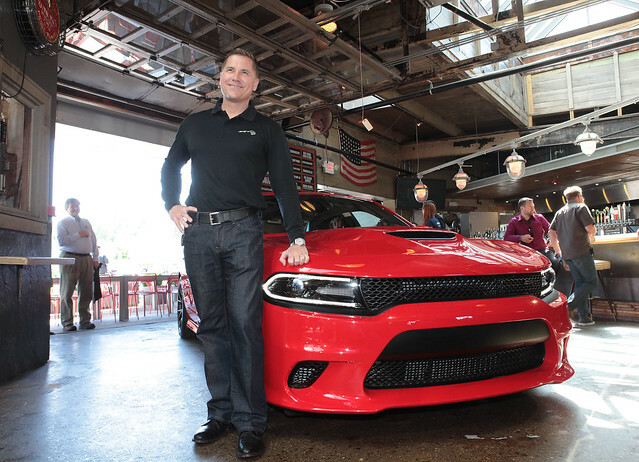 The auto industry expects nothing less from 2015 but a complete winner. U.S. auto dealerships are expected to sell 13.83 million new cars and trucks, which will be a bit higher than the 13.8 million sold in 2004, the last record high. The prediction for total industry sales (including fleet vehicle sales) is above 17 million vehicles. The increasing number of sales will come from people who have been postponing the purchase of a vehicle during the recession. It is also linked to the overall improving economy and greater demand for new vehicles. With these encouraging numbers in mind, 2015 is a great year to join the dealership business and to become a part of the new record. Though we’re not there yet, the U.S. economy has been on a steady growing curve lately. The positive trend means good news for auto sales in many respects, as it changes the game both practically – that is, financially – and psychologically for consumers. Auto dealers can find investments more easily and car loans are more readily available. Consumers, on the other hand, have more extra finances to invest in new vehicles. They are also more likely to look for a loan and buy the vehicle they really want, not just the one they can afford. 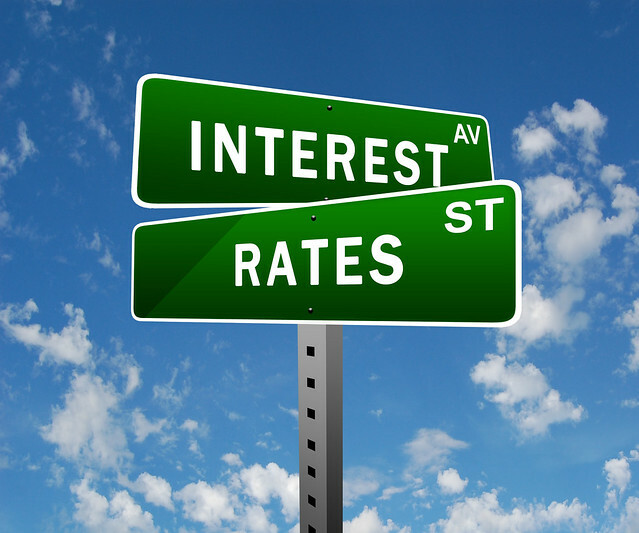 Attractive loan conditions make this a promising year for consumers, and for auto sales. As interest rates dip lower and lower, more people are tempted to get credit and buy a more expensive vehicle than previously planned. Furthermore, many lenders are offering longer term car loans, which allow consumers to have the same monthly installment – just for a longer period of time. There are now car loan programs with up to eight-year terms. If a consumer buys a car now, they can repay it until 2023! Nobody could foresee the drastically lower gas prices in 2014, but what we can do this year is make the best of this change. While the volatile prices cause some disturbance for car producers and gas companies, auto dealers can mostly reap positive effects from them. Namely, consumers are more likely to buy bigger and more expensive – and more gas-consuming – vehicles in the current situation. In fact, they are simply more keen on buying any vehicle, as they know that driving it will be more affordable. After the massive recalls from various car manufacturers in 2014 – over 60 million vehicles – 2015 is expected to be a slow year for recalls. Of course, some recalls are unavoidable, particularly since many recalls arise from problems with cars from earlier years. 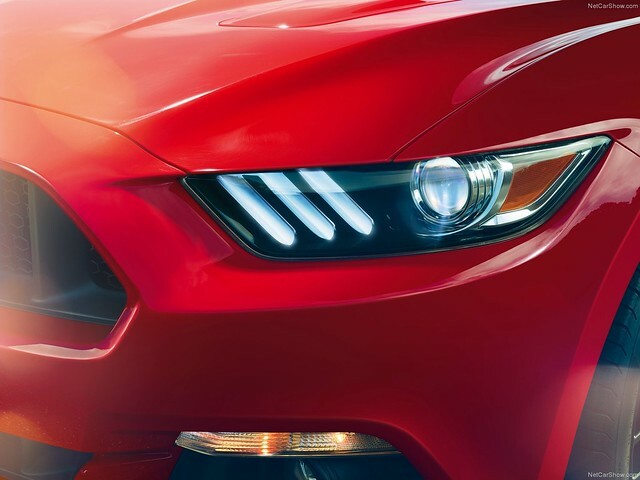 New models coming up on the market are expected to have less issues, as car producers quickly apply the lessons learned from the major recalls in the last year. The slowdown in recalls is likely to incentivize consumers to buy the newest, top-notch models, as they’ll be more careful with selecting a car with no problematic past. It’s a good opportunity for you as an auto dealer to make a quality selection for your showroom of models with no current issues and with the biggest number of safety features. Predictions suggest that crossovers, upscale pickups and luxury cars will be widely sold this year. That’s a good opportunity for a new dealer to enter the market with niche products. Moreover, even if you choose to have a variety of vehicles in your showroom, you can also include a selection of higher end and crossover vehicles. This will allow you to better cater to consumers’ interest and make a good profit from the more expensive vehicles. While there might not be too many of these buyers, there will be enough demand in 2015. 2015 is shaping up to be a great year for auto dealers, possibly the best we’ve seen in quite awhile. We’d love to know your own reasons to launch your dealer career! Please share them in the comment section below.